This is exciting times! Yesterday the Government of Ontario introduced a new bold vision for integrated Health Care in our province. Focusing on the patient experience, and patient outcomes, the Ministry of Health and Long-Term Care will, in the coming weeks, roll out a framework and guidelines that will support integration, innovation, efficiency and opportunities for growth. 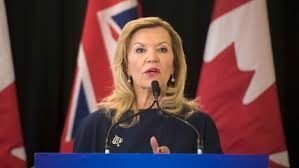 This transformation of the Health Care System will see one new regulatory body for the province called “Ontario Health” and this will be a Crown corporation governed by the Corporations Act of Ontario (rather than an extension of government as the LHINs are now). The vision outlines the breaking down of silos in the system including funding streams by service type (such as Hospital, LTC, Home Care, Cancer Care etc.,) and replacing it with a funding model which will fund entire communities or entire patient population (such as frail elderly). This will allow for communities such as Peterborough to come together partnering to deliver the BEST possible care to the patient – ALL of the health services they require without excessive waitlists. Nightingale was thrilled to hear “Home Care” was mentioned at least 28 times in the slide deck and the government sees Home Care as an integral part of the solution to our “fragmented and troubled health system”. One of four key objectives of their proposed transformation is efficiency – giving patients care in “appropriate settings… where and when they need it”. Nightingale believes that we will see an increase in funding of Home Care Services as government breaks down current funding silos and funds instead of what they are calling “OHT’s– Ontario Health Teams”. The average number of patients that an OHT will oversee is estimated to be 300,000, with some smaller regions. For Peterborough, the OHT will most likely be the entire geographic area of Peterborough City and County. The government may also choose to have an OHT oversee a specific patient population such as Paediatrics or Frail Senior Care (also well suited to Peterborough), or Diabetes for example. Unbounding Opportunity! Nightingale is Positioned well for New partnerships. Although the LHIN’s will be dismantled over time, the government has a top priority to maintain “Continuity of Care” which will mean clients and patients will remain with their current Home Care Service provider in the short term (1-2 years). However, now the government will have the authority to transfer volume to service providers like Nightingale with outstanding performance and accountability. Nightingale is the only contracted service in our area that consistently meets the quality standards! New clients will have a greater choice when being assigned a Home Care Provider coming out of hospital, and government now has the ability to listen to the patient and honour the patient preference. I always say “It’s a Choice, Choose Nightingale; Our Caring You’ll Remember”. Nightingale’s great trust and reputation in our community, coupled with the patient’s ability to choose who delivers their care, will ultimately lead to much growth for Nightingale. Nightingale has always been a leader in adopting technological advancements, innovative ideas and we have never been afraid of change! If you have comments or corrections to this blog please feel free to contact me directly at (705) 652.6118. The accuracy of the content of our blogs is important to us.